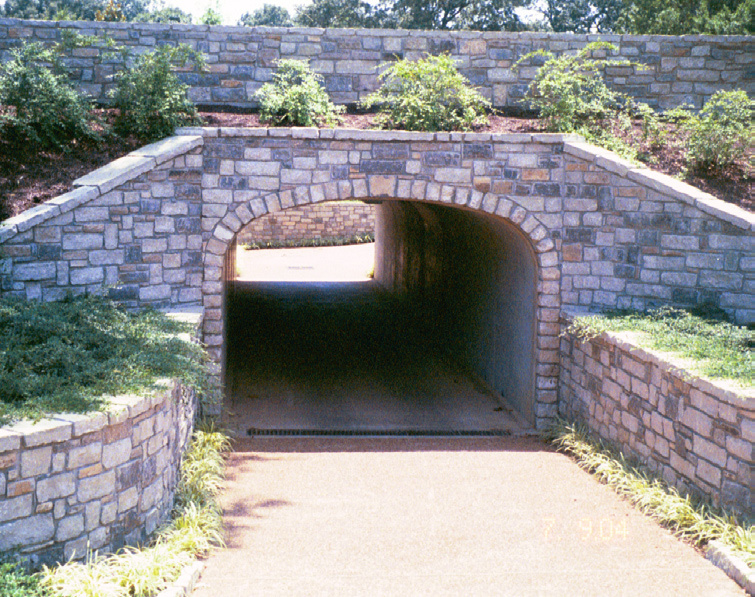 This golf course underpass was necessary to alleviate the need or golf carts to cross a busy, 30 mph street. Due to drainage issues, a trench drain was added to the upper side of the tunnel. French drains were added along the footings to relieve ground water, and a drain and sump pump were added to the lower end of the structure to remove runoff. 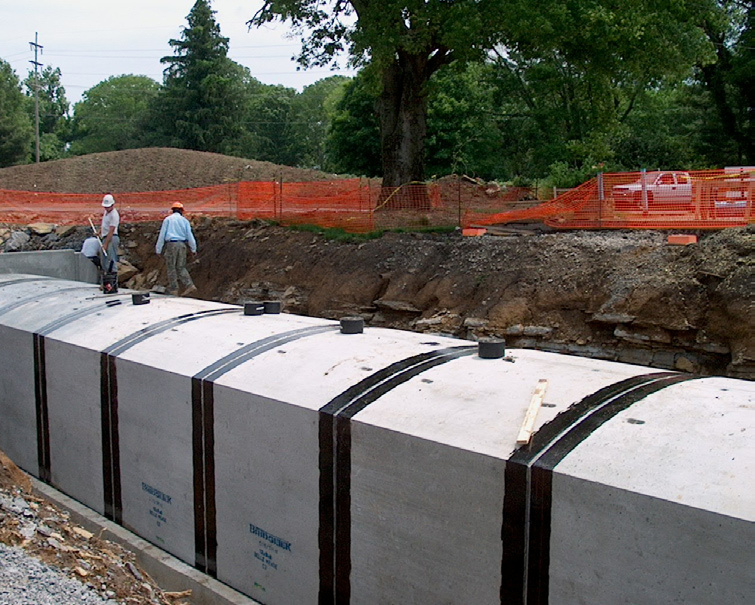 Cast-in-place retaining walls were designed to accommodate some diffi cult grade issues. In addition, dovetail anchors were cast in both the headwalls and the wingwalls in order to attach the stone veneer. A curved, galvanized angle was also added to the structure to support the stone facing in front of the headwall. The electrical conduit/wiring for the recessed lighting was placed in the backfi ll above the structure.